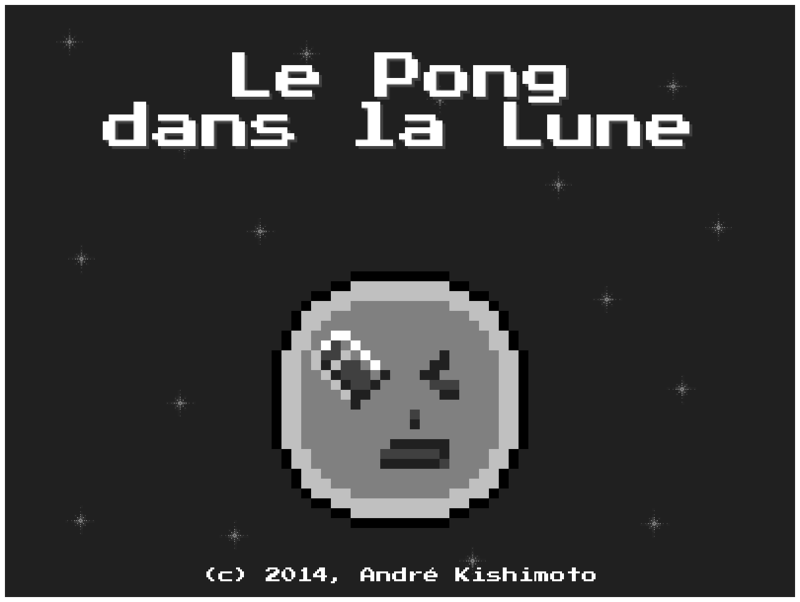 Le Pong dans La Lune is an interpretation of the classic Pong, inspired by George Méliès' famous “Le Voyage dans la Lune" (“A Trip to the Moon") film. It differs from the original version because players control (giant?) people in jetpack suit that can shoot bullets that freeze the opponent or speed the ball up upon collision. The ball, which is a pixelated take on Méliès' moon, has a different behaviour as well. 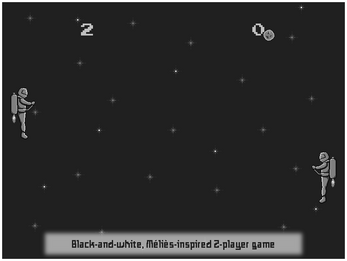 Who knows how gravity in this game's outer space influence it? 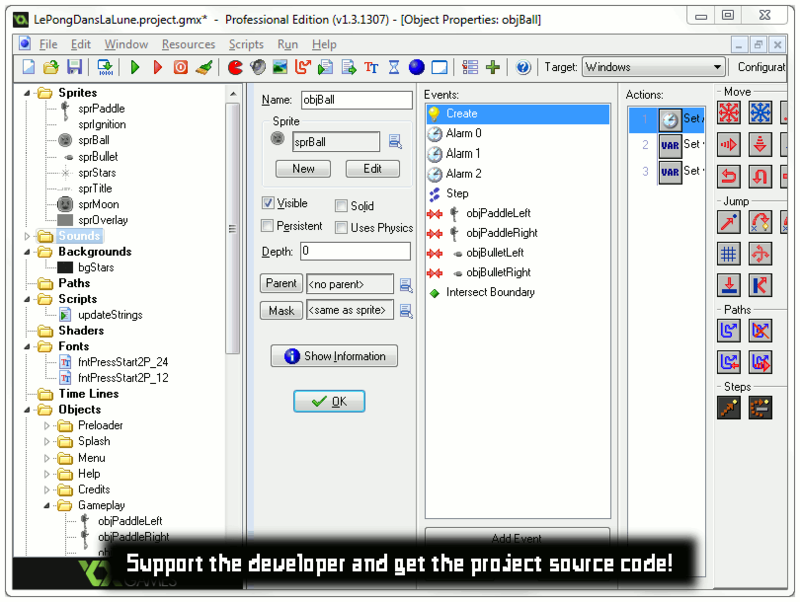 Thinking about getting the project source code? Thank you very much! I hope the project source code will be helpful to you. 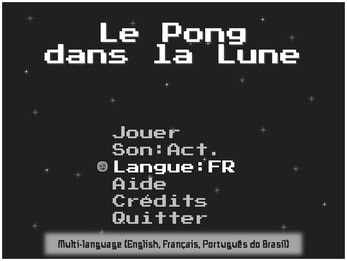 There is one thing I would like to ask you, though: it is OK for me if you make a commercial game out of it but please do not distribute (or sell) the project source code (including art and audio), as doing so would invalidate the experiment mentioned above (and violate the license). 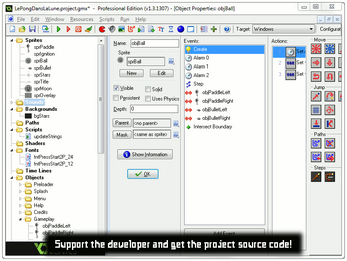 If possible, redirect interested people to where you got the project source code. This is much appreciated! You cannot and will not distribute or sell the project source code, including the art and audio files included with it. Having trouble with the game? 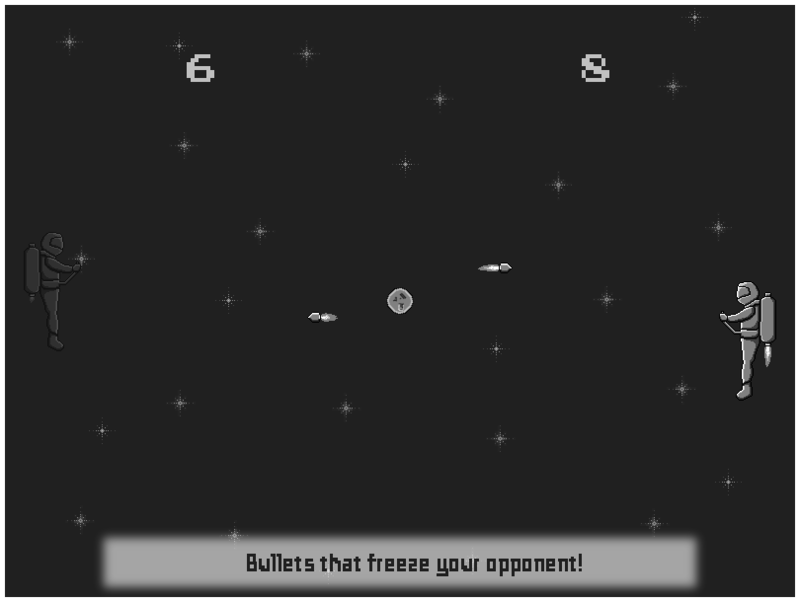 Want to give feedback?